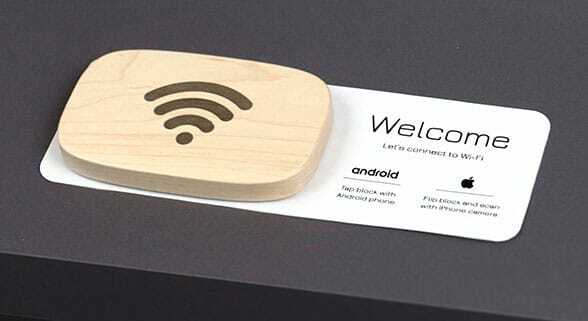 A stylish wooden puck incorporating an NFC tag that allows iPhones as well as Android devices to log onto a WiFi network with a single tap has been launched by New Jersey-based Ten One Design. WiFi Porter has been developed as a solution to offer guests easy access to WiFi without having to type long passwords and is among the first of such tags that don’t need the user to download a companion app, the company says. Phones running Android 5 Lollipop and upwards and Apple phones are supported by WiFi Porter, though iPhones from before 2018 can’t take advantage of the NFC functionality since it uses the background tag reading feature which Apple introduced in the Core NFC specification last year. However, users of older devices can still connect by scanning a QR code on the back of the maple puck.